With broad market experience, Mitchell Raab brings a strong commercial sensibility to his practice and focuses on finance and M&A transactions and providing legal counsel on a broad range of business activities and agreements. Mitch advises clients in evaluating, structuring, negotiating, and executing equity and debt financings, company formation transactions, mergers and acquisitions, joint ventures, divestitures, restructurings, and litigation settlements. Mitch also advises companies, investment funds and leading non-profit institutions on corporate and other legal matters, including commercial transactions, securities laws, governance, disclosure, and enforcement of rights. Mitch counsels clients on value accretive engagement between companies and shareholders and on planning and executing proxy campaigns. His practice serves clients across geographies and industries, including in the healthcare and life sciences, energy, power and infrastructure, financial services, and media industries. 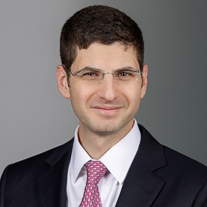 Prior to joining Olshan, Mitch was a director at Seneca Capital, an attorney at Cleary, Gottlieb, Steen and Hamilton, and Richards, Spears, Kibbe and Orbe, and a law clerk for the Honorable Naomi Reice Buchwald in the Southern District of New York.